After the 2003 invasion President George Bush argued that Iraq was part of his freedom agenda. 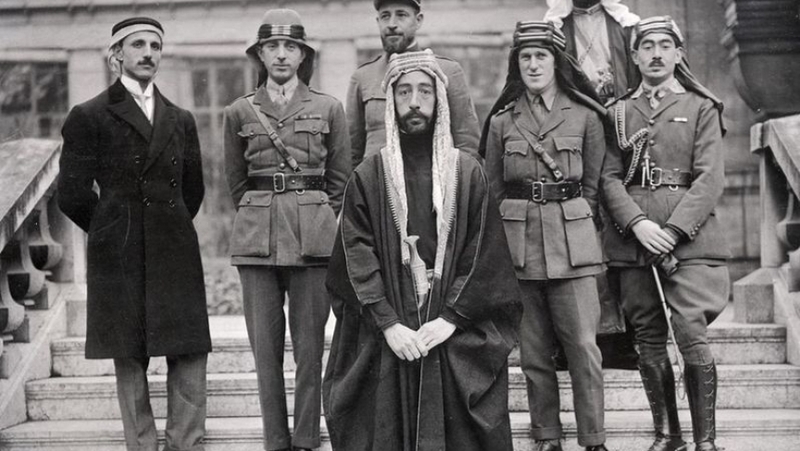 He believed that overthrowing Saddam Hussein was the first step in transforming the entire Middle East where autocratic governments and terrorism were rampant. In a speech at the Army War College in May 2004 for example, the president said that a stable and democratic Iraq would discredit militants’ ideology and help reform the region. Bush believed that only by going to the heart of the Muslim world could that change be effected. The CIA however had completely different ideas. 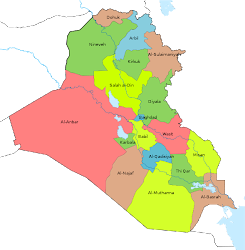 In October 2004 the CIA wrote a memo, “Near Term Regional Implications of Successful Iraqi Elections.” The report was assessing the up coming elections that would be held in Iraq in 2005, but also addressed what kind of affect they would have on the Middle East. 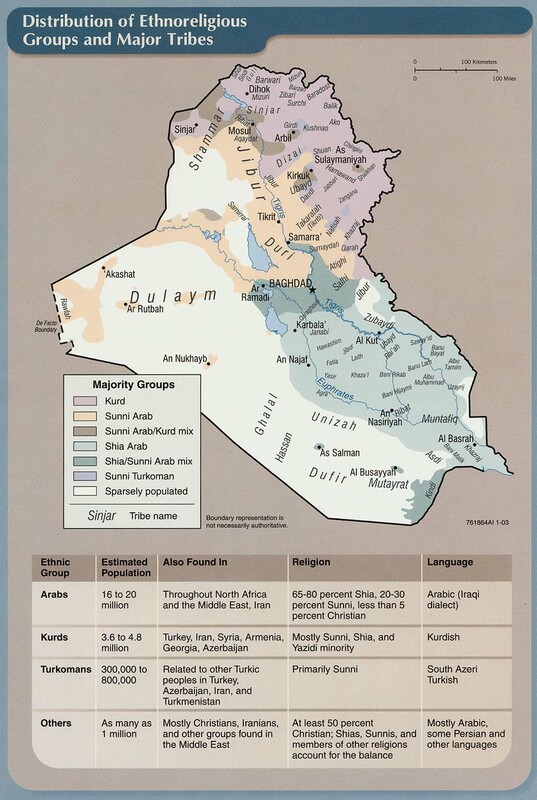 The Agency thought that a democratic Iraq would likely cause opposition from the Sunni regimes such as Saudi Arabia, Egypt, and the Gulf States. They would probably crackdown on their own Shiite populations, and solidify their hold on power. This was a direct challenge to the president’s beliefs. In the years since the 2003 invasion it would seem that the CIA was right about the effect the Iraq invasion would have on the Middle East and North Africa. Besides the brief and largely unfulfilled hope of the Arab Spring not much has changed in the region. Some leaders have gone such as Mubarak in Egypt and Khadaffi in Libya, while others remain like Assad and the political systems are largely the same. As the Agency predicted the Saudis and Gulf States were against the new Iraq and refused to send ambassadors for years after the overthrow of Saddam, while supporting the insurgency. The Shiites outside of Iraq are still largely a marginalized minority. 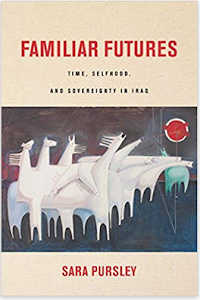 Finally, given all of the violence that Iraq has gone through and continues to experience plus its political dysfunction tends to undermines the positive fact that it is one of the few democracies in the region. Since March 2016 Iraq has seen a steady stream of terrorist attacks by the Islamic State during its spring –Ramadan offensive. At the same time, the government has been working hard to clear Anbar, while starting separate operations in Ninewa and Salahaddin as well. Each one of those leads to a steady stream of counter attacks increasing the level of violence overall throughout the country. The number of incidents in Iraq has been at a steady level for the last four months. In January there were an average of 19.2 incidents per day. That went down to 18.9 in February. Since then there has been an average of 21.4 in March, 19.9 in April, 20.8 in May and 21.0 so far in June. In the third week of June there were 148 incidents, leading to 352 deaths and 497 wounded. The dead consisted of 3 Sahwa, 6 Peshmerga, 41 Hashd, 46 Iraqi Security Forces (ISF), and 256 civilians, while there were 7 Sahwa, 45 Peshmerga, 56 ISF, 81 Hashd, and 308 civilians injured. From June 15-21, 2016 the Fallujah campaign was still on going. Towns around the city were still being freed, while the main thrust was into Fallujah itself. 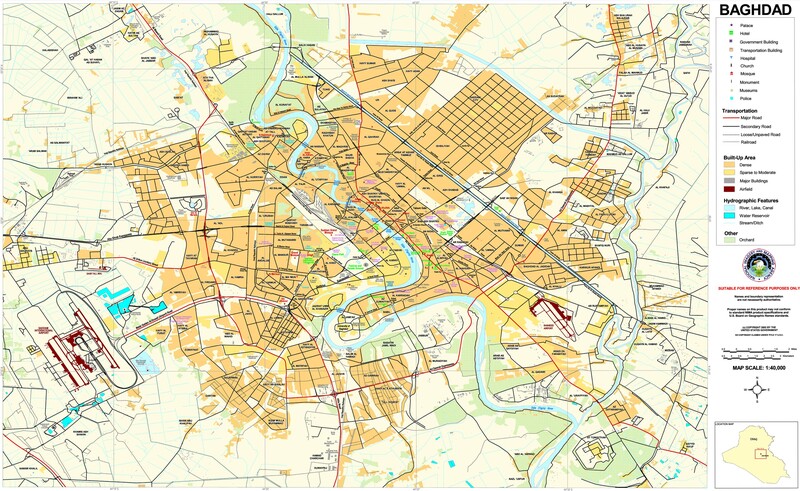 Neighborhoods such as Nazzal and Shuhada were cleared, and by June 16 the government complex was reached. That prompted Prime Minister Haidar Abadi to declare the city free, while the military claimed 80% of it was under control. The U.S. military however announced that only one-third of Fallujah was liberated, while the rest was contested. Either way the Islamic State’s defenses had been pierced, and the Iraqi forces were moving from the center to the north to finish its mission, which would be completed shortly. At the same time the government forces were moving back through the Ramadi area, specifically Zankura during the week, because of IS re-infiltration. 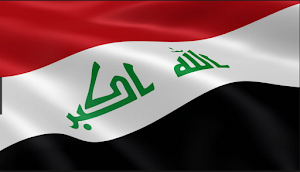 The town was declared freed as recently as June 15 and then a new operation started there on June 20, along with another to the north of Ramadi. Efforts were still underway in Amiriya Fallujah as well. 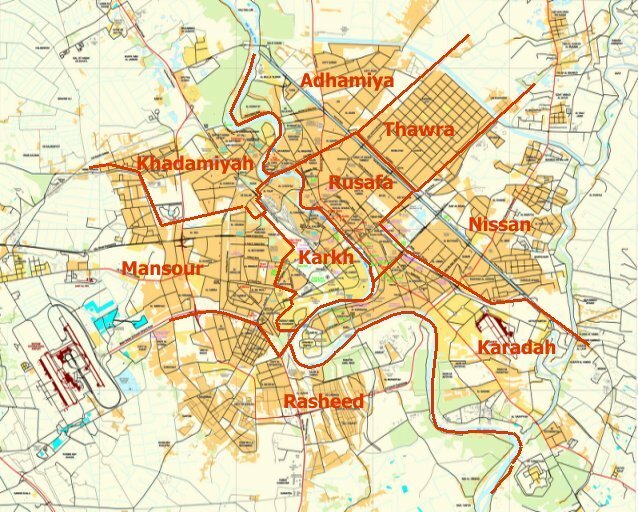 This is a re-occurring problem as Baghdad does not have the forces to hold all of the areas that it is moving through leaving many security gaps that IS exploits to move back in. Finally, forces were being built up in Haditha for a new thrust into western Anbar heading towards Syria. There were also continuing reports of Hashd abuses in the Fallujah operation including torture and killing displaced people. One Hashd fighter was arrested, but that appeared to be more of a scapegoat than a crackdown on these excesses. In fact, the earlier report by the Anbar governor about cases of deaths, disappearances, looting, and torture was likely a move to protect Abadi from further criticism over the conduct of the operation. Right from the start of the offensive stories began to emerge of abuses going on at the hands of the Hashd. The governor’s announcement was meant to show that Sunni authorities were investigating these cases. The governor after all is aligned with the prime minister. Reported casualties during these operations remained low. 1 Hashd, 4 Police, and 8 soldiers were killed, along with 1 police, 5 Hashd, and 17 soldiers injured. Government shelling of Fallujah killed another 18 civilians and wounded 28. Baghdad actively blocks releasing figures on its losses so the real numbers are probably much higher. After a three month low in incidents in Baghdad the previous week, they shot back up the third week of June. There were 61, leading to 105 dead, and 262 wounded. IS continued attempts at mass casualty bombings in the capital. Suicide bombers hit checkpoints in Yusifiya and Swaib, and another hit the army base in Taji. As usual the most incidents occurred in the south with 27, followed by 13 in the north, 12 in the east, and 9 in the west. This has been the pattern of attacks for months now as IS has picked up its operations in Baghdad, while losing ground in the rest of the country. Violence in Diyala remained at a low level with a daily routine of IEDs, shootings, and kidnappings. On the other hand, the frequency of these incidents has doubled from what they were before. As a sign of this new status quo, the ISF claimed to have killed 5 suicide bombers in Abu Saida, a known IS stronghold in the province. In Ninewa the Iraqi forces were continuing preparatory moves towards Mosul. June 18 an operation aimed at Qayara was announced, but this angered the government as it was hoping for an element of surprise before it started. At the same time, the second phase of the Ninewa operation was said to have ended on June 20. That consisted of finally achieving a breakthrough in the Makhmour area where several towns were taken after the initial thrust was a huge disappointment. The Islamic State responded with a suicide car bomb in the Haj Ali area in that district that killed 12 and wounded 6. IS also launched three attacks in the Sinjar district, and executed seven in Mosul and Qayara. The government finally made its move on Shirqat in Salahaddin. The Hashd talked about freeing that district in the northern section of the province after Baiji was freed in October 2015, but then they were called away to Syria by Iran to participate in the Russian led campaign there. While one town was freed in this new operation, it also appeared to have hick-ups as it started on June 18, and was then re-launched on June 21. Shirqat is the last section of Salahaddin that IS still controls and is an important stepping stone to the Mosul operation. 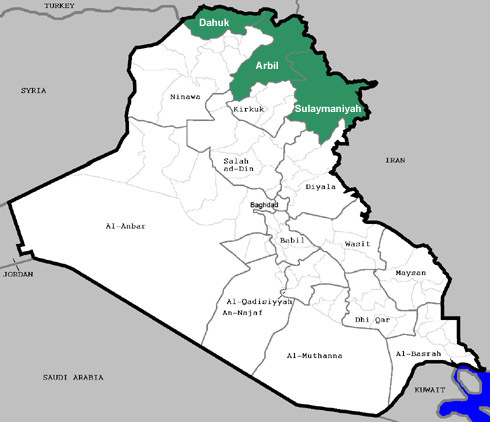 Like in Ramadi, IS has been able to move back into sections of the Baiji and Tikrit districts. That caused a new security operation to be started in the former with two towns taken. IS also hit a Hashd office in Dour with a suicide car bomb south of Tikrit killing 5 and wounding 35. The insurgents also began a new wave of devastating attacks in the Tuz Kharmato district. On June 17 it seized three villages temporarily before being expelled. It also attacked Tuz Kharmato itself with a suicide bomber. In total those attacks led to 32 Hashd and 5 Peshmerga being killed, and 41 Hashd and 42 Peshmerga being wounded, along with two civilians. The next day another suicide car bomb went off in Tuz Kharmato killing 40 and injuring 14. During those incidents the police chief of Tuz was killed. In retaliation the prison in Amerli was attacked and up to 52 prisoners were executed in retaliation, an act blamed on the Badr organization. 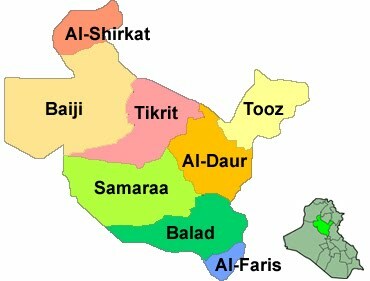 The Tuz district has been a hot spot for ethno-political disputes between Kurds and Shiite Arabs and Turkmen, with Sunni Arabs and Turkmen being caught in the middle. IS successfully exploited those tensions with these attacks, which led to the murder of the prisoners, which were Sunnis. All of this fighting led to 182 dead and 152 wounded in Salahaddin during the week, which was higher than the last seven monthly totals. Finally, after only two successful car bombs in the first two weeks of June there were 9 the third month. Those hit Anbar, Ninewa, and Salahaddin and left behind 94 fatalities and 141 injured. Another 36 were said to be destroyed, but because of exaggerations by the security forces that figure is unreliable.